Some universities had special schools which provided graduates with particular employment prospects. The University of Otago had the only medical school in New Zealand until 1968, when a second school opened at the University of Auckland. 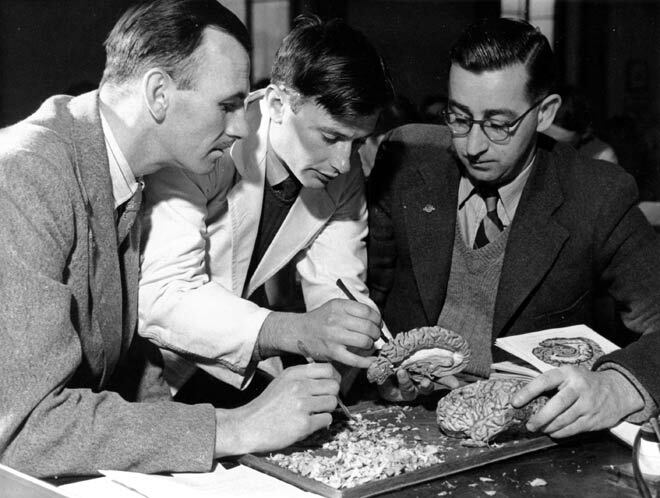 These Otago medical students are dissecting a human brain, watched over by a lecturer, in 1949.